This document contains legal information concerning the content of www.eset.com Web sites (further referred to as the Site(s)). The legal information herein applies to these Site(s) and not necessarily to other ESET, spol. s r.o. sites. ESET, spol. s r. o. (hereinafter “ESET”) and/or its respective suppliers own or can exercise copyright to all software available on these Site(s) (further referred to as “Software“). The Software can be used only in accordance with the end-user license agreement (further referred to as “License Agreement“). License Agreement is supplied together with the Software, or it is a part of it. Software supplied with License Agreement cannot be installed without user's consent with License Agreement. Software is provided exclusively to end-users for the usage. This usage is in accordance with the License Agreement. ESET and/or its respective suppliers expressly prohibit any Software reproduction and/or spreading that is not in accordance with License Agreement. Such action is expressly prohibited by law. Everybody who breaks the License Agreement risks the civil and criminal penalties and risks for litigation, in which ESET will demand adequate compensation and reparation for the legal rights violation. ESET and/or its respective suppliers further expressly prohibit software spreading and copying, and placing the Software or its copies on other web sites, or any other media. ESET and/or its respective suppliers, if they guarantee the Software at all, they guarantee it only in accordance with License Agreement. If not stated otherwise, ESET and/or its respective suppliers declare, that they provide the Software “as is” without warranty of any kind, including warranty of appropriateness on specific purpose and warranty of not breaking other’s legal rights. The above exceptions do not break cogent legal assignments about damage incurred. 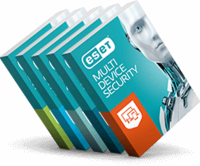 ESET permits to use Documents available on these Site(s), particularly press releases, technical data of ESET’s products, files and frequently asked questions – FAQ, providing that all the conditions stated below are be fulfilled. Use of the Documents for any other purpose is expressly prohibited. Such action is prohibited by law. Everybody who breaks the License Agreement risks the civil and criminal penalties and for litigation, in which ESET will demand adequate compensation and reparation for its legal rights violation. Agreements in the permission to use the documents specified above do not include the design or layout of the ESET’s Web site www.ESET.com or any other ESET owned, operated, licensed or controlled site. Design and layout of the Site(s) and any other ESET’s web sites is protected by copyright, trade dress, trademark, fair competition, and other laws not stated here. Design and layout of the Site(s) and any other ESET’s web sites may not be copied, imitated or retransmitted neither as the whole nor its parts. Any usage, even the partial, of elements from the Site(s), (including particularly, but not only logos, graphics, sounds, images), or eventually their copies, is not possible unless expressly permitted in written by ESET. ESET and/or its respective suppliers make no representation about the suitability of the information contained in the Documents and related graphics published as part of the services for any purpose. All such Documents and related graphics are provided “as is” without warranty of any kind. ESET and/or its respective suppliers hereby disclaim all warranties and conditions with regard to this information, including all warranties and conditions of merchantability, whether expressed, implied or statutory, fitness for a particular purpose, title and non-infringement. In no event shall ESET and/or its respective suppliers be liable for any special, indirect or consequential damages or any damages whatsoever resulting from loss of use, data or profits, whether in an action of contract, negligence or other tortuous action, arising out of or in connection with the use or performance of information available from the services. The Documents and related graphics published on the services could include technical inaccuracies or typographical errors. Changes are periodically added to the information herein. ESET and/or its respective suppliers may make improvements and/or changes in the products and/or services and/or the programs. Information on the Site(s) or in documents available herein, may therefore be from time to time changed, and not corresponding to attributes of provided products and/or services. The links in these areas will let you leave ESET’s sites. The linked sites are not under the control of ESET and ESET is not responsible of the contents of any linked site or any link contained in a linked site, or any changes or updates to such sites. ESET is not responsible for web casting or any other form of transmission received from any linked site. ESET is providing these links to you only as a convenience, and the inclusion of any link does not imply endorsement by ESET of these sites or their content. ESET, ESET software, ESET logo, ESET.eu, NOD, NOD32, AMON, PERSPEKT, VIRUS RADAR, VÍRUSOVÝ RADAR, VIROVÝ RADAR, ThreatSense, ThreatSense.Net®, AntiThreat and/or other products or services of ESET mentioned here, are trademarks and registered trademarks of ESET Other product and company names mentioned herein may be trademarks or trade names of their respective owners. Names of companies, organizations, products, events and people used in examples (with exception of Case studies) are fictitious. Any similarity to real company, organization, product, person or event is not intended. Copyright © 2017 ESET spol. s r. o. Copyright to the documents and programs on the Site(s) is owned and/or performed by ESET, spol. s r. o.. All rights reserved. If you have any questions or concerns, please, do not hesitate to contact us via the ESET Customer Support Service form.